Un article paru à la fin du mois dernier dans la revue New Scientist. UPDATE, April 6: This article has elicited a considerable amount of interest, and some criticism. We always welcome discussions of the stories we publish. Some readers felt the original headline (Wind and wave energies are not renewable after all) was misleading, so to address these concerns we have changed it. We have also been made aware of a wider debate about Kleidon's research that we did not address in the original article: we will continue to follow this issue and report back on what we find. At present, humans use only about 1 part in 10,000 of the total energy that comes to Earth from the sun. But this ratio is misleading, Kleidon says. Instead, we should be looking at how much useful energy - called "free" energy in the parlance of thermodynamics - is available from the global system, and our impact on that. "This is an intriguing point of view and potentially very important," says meteorologist Maarten Ambaum of the University of Reading, UK. "Human consumption of energy is substantial when compared to free energy production in the Earth system. If we don't think in terms of free energy, we may be a bit misled by the potential for using natural energy resources." This by no means spells the end for renewable energy, however. Photosynthesis also generates free energy, but without producing waste heat. Increasing the fraction of the Earth covered by light-harvesting vegetation - for example, through projects aimed at "greening the deserts" - would mean more free energy would get stored. Photovoltaic solar cells can also increase the amount of free energy gathered from incoming radiation, though there are still major obstacles to doing this sustainably (see "Is solar electricity the answer?"). In any event, says Kleidon, we are going to need to think about these fundamental principles much more clearly than we have in the past. "We have a hard time convincing engineers working on wind power that the ultimate limitation isn't how efficient an engine or wind farm is, but how much useful energy nature can generate." As Kleidon sees it, the idea that we can harvest unlimited amounts of renewable energy from our environment is as much of a fantasy as a perpetual motion machine. Is solar electricity the answer? A solar energy industry large enough to make a real impact will require cheap and efficient solar cells. Unfortunately, many of the most efficient of today's thin-film solar cells require rare elements such as indium and tellurium, whose global supplies could be depleted within decades. For photovoltaic technology to be sustainable, it will have to be based on cheaper and more readily available materials such as zinc and copper, says Kasturi Chopra of the Indian Institute of Technology, New Delhi. Researchers at IBM showed last year that they could produce solar cells from these elements along with tin, sulphur and the relatively rare element selenium. These "kesterite" cells already have an efficiency comparable with commercially competitive cells, and it may one day be possible to do without the selenium. Even if solar cells like this are eventually built and put to work, they will still contribute to global warming. That is because they convert only a small fraction of the light that hits them, and absorb most of the rest, converting it to heat that spills into the environment. Sustainable solar energy may therefore require cells that reflect the light they cannot use. Issue 2806 of New Scientist magazine. As we report on "Wind and wave energies are not renewable after all", thermodynamics tells us that over-reliance on wind and wave power would be a costly mistake. That's because solar radiation - ultimately our only truly renewable energy source - produces usable energy in only two ways. First by heating different parts of the Earth to different degrees, and so driving vast flows of wind and water, and second by being absorbed by biological organisms - or, nowadays, by solar cells. We can tap into either but, as physicist Axel Kleidon shows, there's a surprisingly low limit to the amount we can extract from wind and waves. Drawing energy on the terawatt scale will likely change the dynamics of the atmosphere, with uncertain consequences. The energy captured by plants or photovoltaic cells is free of this limitation. TAKE a deep breath. You can thank cyanobacteria for that lungful of oxygen. These prolific microorganisms were the first to oxygenate Earth's atmosphere 2.4 billion years ago. Now with the help of genetic engineering they've been persuaded to turn sunshine and carbon dioxide into something else we need: fuel. The organisms have been engineered to carry out this trick by Joule Unlimited, a firm based in Cambridge, Massachusetts. As a result, they can feed themselves through photosynthesis and secrete alkanes, the chief building block of diesel. Even better, unlike the hydrogen economy, their products do not require us to overhaul our energy infrastructure (see "Renewable oil: Ancient bacteria could fuel modern life"). However good an idea looks on paper, unforeseen problems can arise, as GreenFuels Technologies found to their cost. The algal fuel company got as far as building a pilot plant in Arizona. But the company was wound down in 2009 due to unruly algal growth and the high cost of growth chambers. We may now be witnessing another false dawn in the attempt to harness microorganisms to create energy but their chemical talents are too diverse to ignore. Like us, the vast array of microorganisms in soil fight for limited resources of carbon and energy. The difference, of course, is that microbes have had billions of years to evolve ways of securing their share. Fortunately, many firms are involved in the quest to harness the talents of microbes, from LS9, a San Francisco-based company that engineers Escherichia coli to Craig Venter's efforts to create synthetic organisms for oil giant ExxonMobil. Like all world-changing technologies it is unlikely that any company will crack the problem at their first attempt, but the wider the diversity of approaches, the more likely we are to succeed in finding a cost-effective way to persuade microbes to make energy. Of all the approaches, it seems most appropriate to strike up a relationship with cyanobacteria, the microbes whose waste product was life-giving oxygen. It's about time that we returned the favour by nourishing them with our waste carbon dioxide. Microbes with tweaked DNA can convert sunlight and carbon dioxide into oil, but will it ever power our cars? I'M STARING at a tank filled with bubbling liquid the colour of steamed spinach. Swimming inside are photosynthetic cyanobacteria. Although their kind are extremely common, these bacteria differ from their wild counterparts. Their DNA has been tweaked so that, given light, water and carbon dioxide, they secrete alkanes - the primary components of diesel. Biotechnology company Joule Unlimited of Cambridge, Massachusetts, which grows the bacteria, envisions a future in which swathes of desert are packed with photobioreactors. These huge tanks, churning with the same spinach-green soup now in front of me, will pump out alkanes as the sun shines. There's another advantage to this solar-powered oil: the CO2 the bacteria inhale could come from industry. Firms would no longer have to invest in technology to bury the greenhouse gas safely. Understandably, such an optimistic vision has attracted plenty of press interest. But until now Joule has been tight-lipped about what the media has dubbed a "magic bug". My conversations at Joule, and a look at some of the firm's recently acquired patents, offer tantalising hints that the underlying science is sound. Biofuels have been around for a while. Joule's system is an unusual member of the "third generation" of the technology. The first-generation fuels stalled largely because they had to compete with the food industry. Their feedstock, a mixture of sugars, starches and oils, came from sugarcane and corn. The second generation produced fuels from inedible cellulose and non-food crops, which are difficult to break down cost-effectively into the simple molecules found in fuels. The latest biofuels are derived from microbes that can live on land unfit for crops and generate nearly engine-ready chemicals. Competition between third-generation biofuel developers is fierce (see "Invest and hope for the best"), but Joule has made impressive strides towards commercial success. Most of its competitors use algae that squirrel away oil within their cells, but Joule's magic bugs are cyanobacteria that secrete the alkanes they generate, which float to the surface of the reactor for convenient collection. Even better, the alkanes have chains of carbon 13 to 19 molecules long, an ideal length for diesel, says Dan Robertson, Joule's senior vice-president of biological sciences. Previous scientific studies provide evidence that some microbes, including a number of cyanobacteria, can synthesise alkanes. The genetic pathways involved have been unclear, but Joule's patents and a 2010 paper published by biotech rival LS9, based in San Francisco (Science, DOI: 10.1126/science.1187936), suggest that both firms have pinpointed the genes and enzymes involved in species such as Thermosynechococcus elongatus, which inhabits hot springs. Robertson says that Joule has enhanced the expression of these genes and encouraged the microbes to secrete their alkanes. It helps that the DNA in prokaryotic cyanobacteria is easier to manipulate because it is not protected by a nucleus. Microbiologists have become so adept at this kind of manipulation that they can coax bacteria to divert "the vast majority of their energy" into producing useful chemicals, says Cameron Coates, who is trying to produce fuels from microbes at the Scripps Institution of Oceanography in San Diego, California. Robertson says that Joule's microbes can convert 90 per cent or more of the carbon they fix during photosynthesis into alkanes or alcohols that can be used in fuels. "Anything over 80 per cent to me is a surprise," says Himadra Pakrasi, who researches cyanobacteria at Washington University in St Louis, Missouri. Coates agrees: "I haven't seen any peer-reviewed publication that backs up that figure. We won't know if they are accomplishing those yields until they show it at a large scale." Coates may not have long to wait. Joule already has a pilot plant covering 0.8 hectares in Leander, Texas. On 5 May, the firm announced that it had secured 486 hectares in Lea County, New Mexico, for a plant to produce ethanol and diesel. The project may be scaled up to 2000 hectares. With its engineered microbes, Joule claims to be able to produce ethanol at a rate of 93,000 litres per hectare per year, suggesting its New Mexico site will generate 45 million litres per year, rising to nearly 200 million litres if the site is expanded to 2000 hectares. But what works in theory might not work in practice: so far no company has been able to mass-produce fuels using engineered microorganisms. "From a scientific view a lot of what they say is possible, but it needs to be tested on a big scale," says Louis Sherman, who studies cyanobacteria at Purdue University in West Lafayette, Indiana. "The theory sounds nice, but I want to see what happens after they have been in operation for a year or two. There are problems you can't anticipate." The third generation of biofuels is attracting millions of dollars of investment. In 2009 oil giant ExxonMobil committed $600 million to develop algal biofuels with Craig Venter, the genome-sequencing pioneer. Such major investments are rare, but Venter can still expect some stiff competition. Using cyanobacteria that secrete rather than store their oil, as does Joule of Cambridge, Massachusetts, saves the money that would be wasted cracking open oily cells. But it is not the only option. San Francisco-based biotech firm LS9 is also trying to harness cyanobacteria's knack of turning sunlight and CO2 into oil. But instead of enhancing the expression of these genes in cyanobacteria themselves - as Joule is doing - LS9 decided to transfer the genes to the laboratory workhorse Escherichia coli. Unlike cyanobacteria, E. coli must be fed to grow. But Stephen del Cardayre, vice-president of research and development at LS9, says the firm's approach has advantages. "One reason we chose E. coli is that it is one of the fastest growing organisms known," he says. More speculatively, bacteria living in oxygen-poor soils or ocean sediments could provide an alternative route to third-generation fuels, according to Derek Lovley at the University of Massachusetts, Amherst. Lovley and colleagues have been generating electricity using Geobacter. To produce energy through cellular respiration, Geobacter transfers electrons to metals like iron in its oxygen-poor environments. Poke in a pair of electrodes and you can harness those electrons to generate a current, says Lovley. By lowering the potential of the electrodes, Lovley discovered he could reverse the flow of electrons and force the bacteria to offload them onto carbon inside their cells to form acetate. With engineering, the bacteria could be made to turn that acetate into biofuel - an idea so new that Lovley is still working on proving the concept. Promising as these technological advances seem, commercial success is not guaranteed. In 2006, high-profile start-up GreenFuels Technologies built an ambitious pilot plant at the Redhawk power plant in Arizona, designed to turn the plant's waste CO2 into algal biofuel New Scientist, 6 October 2006, p 28. Although GreenFuels Technologies raised more than $70 million in investments, it went bust in May 2009 because of the cost of maintaining its growth chambers and the difficulty of handling unpredictable algal growth. Un projet pharaonique qui ambitionne de produire de l'énergie solaire et éolienne dans les déserts du Maghreb et du Moyen-Orient et de la transporter vers l'Europe commence lentement à prendre forme, même si de nombreuses incertitudes techniques et politiques demeurent. Une étape supplémentaire a été franchie jeudi à Bruxelles avec la signature d'un accord de coopération entre deux consortiums européens privés travaillant dans le cadre du «Plan solaire méditerranéen», un des projets phares de l'Union pour la Méditerranée. Le premier (Desertec), allemand pour l'essentiel, compte produire de l'électricité solaire et éolienne dans les déserts du Sud de la Méditerranée afin de répondre à la demande locale mais aussi européenne. L'autre (Medgrid), où la France est très présente, va réaliser les interconnexions sous-marines entre les continents européen et africain, notamment via le détroit de Gibraltar, pour transporter l'électricité. «Il y a à présent une perspective concrète de voir de l'énergie solaire et éolienne produite pour le bénéfice commun des citoyens de l'Europe, de l'Afrique du Nord et du Moyen-Orient», a commenté le commissaire européen à l'Energie, Günther Oettinger. Desertec a été créé en 2009. L'Allemagne est d'autant plus intéressée par le projet qu'elle a renoncé après la catastrophe de Fukushima à l'énergie nucléaire à terme et entend du coup nettement développer son approvisionnement en énergie renouvelable. Né il y a un an, Medgrid comprend lui des gestionnaires de réseaux de transport d'électricité de plusieurs pays du sud de l'Europe (notamment le français RTE) ainsi que des groupes français comme EDF, Areva et Alstom. L'objectif global du projet est de répondre à 15% de la demande européenne en électricité à l'horizon 2050. L'Union européenne le subventionne, car il doit l'aider à remplir ses objectifs de lutte contre le réchauffement climatique: parvenir à 20% de part d'énergie renouvelable et réduire de 20% les émissions de CO2 par rapport à leur niveau de 1990. Sur le papier, le projet paraît séduisant. Les déserts d'Afrique du Nord bénéficient d'un ensoleillement fort - il est deux fois plus important dans le Sahara qu'à Paris -, ils sont peu habités et peuvent fournir du silicium, une matière première essentielle aux panneaux solaires. Le chantier en reste toutefois aujourd'hui à ses prémisses. Politiquement, «certains pays du Sud ont été rebutés au départ, car ils avaient le sentiment que l'Europe s'engageait dans une entreprise néo-colonialiste de pillage de leurs ressources», confie une source proche des négociations. Depuis, il est clairement établi que le projet doit d'abord servir à couvrir les besoins croissants du Sud et, pour une partie seulement, peut-être un quart à terme, l'exportation vers l'Europe. Un premier projet de parc solaire doit bientôt sortir de terre au Maroc pour un coût de 1,9 milliards d'euros, près de Ouarzazat, avec une capacité de production de 500 mégawatts, soit environ la moitié de celle d'un réacteur de centrale nucléaire. «Une étude faisabilité est prévue en Tunisie et des discussions sont prévues en Egypte», souligne-t-on chez Desertec. Pour l'instant c'est tout. Du côté de Medgrid, on reconnaît que beaucoup reste à faire. Les turbulences politiques nées du «Printemps arabe» ont gelé des négociations engagées avec les anciens régimes en place. «Il y a eu des perturbations dans nos relations (avec les pays concernés), notamment avec la Tunisie. En Syrie, la situation est plus difficile, nous n'avons pas de contact», a souligné le président exécutif de Medgrid, André Merlin. Mais à terme, les industriels se veulent confiants. «Les échanges d'électricité pourront se faire dans les deux sens. Le Nord a surtout besoin d'énergie en hiver à cause du froid, alors que le Sud en a besoin en été pour la climatisation», estime André Merlin. PARIS (Reuters) - Les fleurons de la gastronomie du Cher, vin de Sancerre et crottin de Chavignol, pourraient bientôt produire de l'électricité grâce au nouveau programme du gouvernement français en faveur du biogaz. Les agriculteurs concernés ne seront pas rémunérés mais la société leur offrira du digestat, un résidu de la méthanisation (fermentation des matières organiques) qui aboutit à la formation de biogaz qui peut servir d'engrais. "C'est un troc de fumier contre digestat", résume Frédéric Flipo, cofondateur de Holding Verte, lors d'une interview à Reuters, ajoutant qu'une tonne de déchets produit presqu'une tonne de digestat. Le biogaz est une industrie encore naissante en France parmi les énergies renouvelables. La hausse des tarifs de rachat d'électricité générée par le biogaz, ainsi qu'un décret laissant les producteurs injecter du biogaz dans le réseau, a néanmoins amélioré les perspectives de la filière cette année. Holding Verte compte atteindre une capacité de production d'électricité et de chauffage de sept mégawatts (MW) d'ici 2013 et ambitionne de lancer dès l'an prochain une première unité de production d'un mégawatt utilisant le procédé de méthanisation. Alors que certaines énergies renouvelables, telles que les biocarburants, font l'objet de polémiques sur leurs effets néfastes sur l'environnement, Holding Verte vante les mérites du biogaz pour créer des cycles locaux vertueux entre les déchets et la production énergétique. "Nous répondons à une problématique territoriale, sur laquelle on va produire de l'électricité et de la chaleur qui pourront être utilisées par les collectivités via les réseaux chaleur ou les agriculteurs pour sécher leurs récoltes", souligne Frédéric Flipo. La France a pour objectif officiel une capacité de production d'électricité à partir du biogaz de 625 MW d'ici 2020. C'est quatre fois plus qu'en 2010 mais encore loin des 900 MW d'un réacteur nucléaire de capacité moyenne. L'industrie du biogaz en France repose essentiellement sur des exploitations agricoles de petite envergure et la hausse des tarifs de rachat cette année fait partie de la stratégie du président Nicolas Sarkozy pour gagner le soutien des agriculteurs lors de l'élection présidentielle de l'an prochain. Holding Verte, qui a investi environ cinq millions d'euros dans sa première installation en partenariat avec la Caisse des dépôts (CDC), se positionne sur des équipements d'une capacité d'un mégawatt. "Dans l'absolu, toute la filière sera toujours plus petite qu'une centrale nucléaire. Le sujet, ce n'est pas tellement combien d'électricité on va pouvoir produire, c'est plus quelle volumétrie de déchets va être retraitée de manière vertueuse", estime Frédéric Flipo. La société espère profiter de la loi, applicable le 1er janvier, qui incitera les supermarchés à recycler leurs invendus, tels que les yaourts. En tant que biomasse, ces aliments peuvent devenir une source d'énergie après méthanisation. Holding Verte considère comme non pérenne la tendance d'acheter et d'importer des déchets organiques des pays voisins comme le fait l'Allemagne, qui a une industrie du biogaz beaucoup plus importante. L'Allemagne se vante de posséder des milliers d'installations au biogaz fonctionnant essentiellement grâce au maïs fourrager, alors qu'en comparaison Holding Verte utilise différentes sortes de déchets organiques avec une démarche locale. L'entreprise souhaite amortir le coût de son investissement d'ici huit à neuf ans et compte également réduire de 15% à 20% au cours des trois prochaines années les cinq millions d'euros d'investissement par projet de biogaz. "La France a pour objectif officiel une capacité de production d'électricité à partir du biogaz de 625 MW d'ici 2020. C'est quatre fois plus qu'en 2010 mais encore loin des 900 MW d'un réacteur nucléaire de capacité moyenne." Bien, je reste sceptique BV, avec cette filière biogaz, en tout cas, on est pas sorti du nucléaire ! Je suis pas contre le biogaz, tant que l'usine n'est pas au bout de mon jardin, mais dis - moi, j'ai un doute ? Subventionner des agriculteurs qui me semblent productivistes, pour qu'ils éliminent des déchets, dont personne ne veut, avec pas mals d'avantages (merci le gouvernement), qui dit mieux ? C'est écolo curieux ça non ? - Les bio-carburants : c'est mal car ça oblige à utiliser des terres agricoles pour produire autre chose que de la nourriture. - Par-contre les biogaz : c'est bien car ça permet d'utiliser des déchets agricoles qui jusqu'à présent ne servaient à rien. La méthanisation (biogaz), l'éolien, l'hydrolique, le solaire, la géothermie sont l'avenir de l'espèce humaine. C'est d'ailleurs catastrophique au Brésil et pas que là ! Dix milliards d'euros, 500 éoliennes géantes: le 11 janvier, les industriels déposeront leur offre pour cinq fermes gigantesques au large des côtes françaises. Telle la fusée de Tintin, le tripode haut comme un immeuble de dix étages se dresse à quelques pas du hall d'assemblage des éoliennes d'Areva, dans le port allemand de Bremerhaven. Ce monstre d'acier de 750 tonnes entouré d'échafaudages, fabriqué par WeserWind, est la future fondation sous-marine d'une turbine qu'Areva fabrique ici en Allemagne. À l'intérieur de l'usine du groupe français, le gigantisme perdure. S'y alignent des nacelles d'éoliennes en construction, chacune grosse comme une maison -12 mètres de haut, 14 de long et 8 de large ! En s'embarquant sur les mers, l'énergie éolienne change de dimension. Areva s'est lancé dans la bataille de l'appel d'offres orchestré par le gouvernement français pour construire cinq fermes éoliennes en Manche et dans l'Atlantique, d'une puissance totale comparable à trois réacteurs nucléaires. Le groupe atomique fournira les turbines au consortium mené par GDF Suez sur les trois sites normands, et au consortium de l'espagnol Iberdrola sur les deux sites bretons. À condition de l'emporter. Face à Areva, Alstom est le «turbinier» choisi par EDF Énergies Nouvelles (EDF EN) sur les quatre sites où il est candidat. L'intérêt de planter des éoliennes en mer se lit comme une évidence sur le grand écran du centre de contrôle du parc éolien Alpha Ventus, où Areva teste ses six premières turbines de 5 mégawatts (MW), à quarante kilomètres de la côte allemande. À gauche de l'écran, les silhouettes de trois éoliennes installées sur la terre ferme affichent une puissance de 1,2MW. À droite, au même instant, les six turbines du même modèle, dressées au large, atteignent 4,9MW. Une éolienne en mer peut fournir l'équivalent de sa pleine puissance 40% du temps, contre 25% pour une bonne éolienne terrestre. Au tarif plancher auquel les opérateurs des futures fermes éoliennes françaises pourront vendre leur courant, une turbine de 5MW peut produire pour 2,8 millions d'euros d'électricité sur une année. Un pactole à l'horizon? «L'offshore, c'est un autre business», met en garde David Corchia, le directeur général d'EDF EN. Les machines sont désormais spécialement conçues pour la mer, confirme Philippe Kavafyan, vice-président d'Areva Wind, chargé de la France. Elles doivent résister aux agressions du milieu marin, l'humidité, la corrosion, et surtout viser une fiabilité à toute épreuve. À 100.000 ou 200.000 euros la location pour une journée d'un navire plateforme, pas question d'aller changer des pièces tous les quatre matins. Les exigences de la mer et l'ampleur des investissements -environ 2,5 milliards d'euros pour une ferme de 750 mégawatts- rappellent le nucléaire, assure Philippe Kavafyan. «La technologie d'une turbine aussi fiable que possible plus l'installation en mer, c'est aussi compliqué qu'un EPR!» observe-t-il sans rire. Aussi stratégiques soient-elles, les turbines ne représentent que 40% de l'investissement d'un parc en mer. 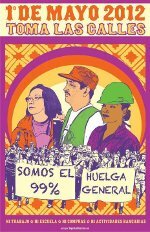 Le solde de 60%, c'est l'activité offshore, le repérage des fonds marins et l'installation qui s'apparentent à l'industrie pétrolière, un parcours semé d'embûches en perspective. Face à Alstom, Areva égrène les avantages comparés de sa turbine M5000. Sa nacelle et sa tour seront en surpression, comme le bâtiment réacteur d'une centrale nucléaire, afin d'empêcher les entrée d'air marin dans les machines. Areva dispose d'un banc d'essai «unique au monde», selon Jean Huby, le patron de la branche éolienne. Tester chaque génératrice pendant vingt-quatre heures à pleine puissance devrait permettre d'éviter de découvrir, en mer, un problème de surchauffe comme en ont connu les turbines du champ pilote Alpha Ventus, à la suite d'un défaut de fabrication. Enfin, argument répété par les équipes d'Areva en Allemagne: le rival Alstom n'a pas encore sorti des cartons sa turbine offshore. «L'expérience en conditions réelles fait une différence aux yeux des banques», lorsque vient le moment de boucler le financement d'un parc, souligne un cadre d'Areva. Chez Alstom, le fait que la nouvelle turbine Haliade soit encore en vitrine n'est pas du tout considéré comme un désavantage. «Nous sommes présents depuis longtemps dans l'éolien terrestre, ce qui nous donne d'abord une bonne expérience de ce secteur en général. Ensuite, la puissance de notre outil -6 mégawatts- fait de lui le plus approprié», souligne Jérôme Pécresse, président de l'activité renouvelable. D'ores et déjà, le groupe a sélectionné deux sites pour construire respectivement les nacelles (à Saint-Nazaire) et les pales (à Cherbourg). «L'impact sur l'emploi sera considérable, poursuit Jérôme Pécresse, environ 1000 emplois directs sont prévus, sachant que pour un emploi de ce type, il faut en ajouter trois ou quatre indirects.» Précision de taille: Alstom n'investira dans la construction de ces deux usines -quelque 100 millions d'euros en tout- que si EDF Énergies Nouvelles remporte au moins la moitié de l'appel d'offres. Si c'est le cas, les usines dans l'ouest de la France devraient commencer à produire dès 2013. Idem pour Areva qui n'investira dans une usine au Havre qu'à condition d'emporter deux parcs. Bien conscient de ces enjeux industriels, l'État s'est engagé à annoncer le nom des vainqueurs avant la présidentielle. Le parc éolien français a battu ce mercredi un record de production, avec une puissance de 4.453 MW pour un parc installé de 6.576 MW, soit 6% de l'électricité consommée, souligne le syndicat des énergies renouvelables (ENR) dans un communiqué. Le syndicat, qui se fonde sur les données fournies par RTE (Réseau de transport d'électricité), la filiale d'EDF qui gère le réseau français, souligne que "c'est la première fois que la France atteint une puissance éolienne instantanée aussi élevée". En moyenne sur l'année, les éoliennes fournissent 2,5% de l'électricité consommée en France. De fait, une éolienne installée ne peut pas toujours fonctionner, soit parce qu'il y a trop de vent, soit pas assez. Les machines peuvent aussi tourner en-dessous de leur puissance, si le vent n'est pas suffisant. Elles peuvent, par ailleurs, être en révision. Ce mercredi, les conditions de vent étaient particulièrement bonnes. Le Grenelle de l'Environnement a fixé à la filière un objectif de puissance installée de 25.000 MW en 2020. Avec cette puissance, l'éolien fournira en moyenne 10% de l'électricité consommée, selon le syndicat, ce qui réduira d'autant le recours à la production d'origine thermique, polluante, et d'origine hydraulique. Plusieurs sociétés travaillent actuellement sur de nouveaux concepts d'éoliennes. Créée il y a seulement un an, Ideol, une start-up de La Ciotat (Bouches-du-Rhône) a mis au point et breveté un concept nouveau d'éolienne flottante. Elle a développé, en s'inspirant des plates-formes pétrolières, un flotteur capable d'accueillir n'importe quelle turbine d'éolienne. Celle-ci peut être installée à quai sur le flotteur puis l'ensemble est tracté en mer, loin des côtes et des regards, et au-delà des 45 mètres de profondeur, limite actuelle, technique et financière, pour les éoliennes ancrées sur les fonds marins. Le coût d'installation est bien moindre. «Nous sommes plus compétitifs que les fondations fixes dès 40 mètres de profondeur et nous pouvons être deux à trois fois moins cher», avance Paul de la Guérivière, le président d'Ideol. En outre, une solution logicielle, elle aussi brevetée, permet de déplacer les flotteurs pour mieux profiter du vent et ainsi accroître de 10% le rendement. Les premiers tests d'une maquette en bassins à La Seyne-sur-Mer (Var) confirment les simulations «même dans un environnement extrême». Ideol espère conclure prochainement ses négociations avec des partenaires industriels en vue de la mise à l'eau en 2013 d'un prototype grandeur nature au large de Fos-sur-Mer (Bouches-du-Rhône). «Face aux importantes contraintes de l'éolien en mer, nous avons recherché une solution innovante en réunissant des compétences, notamment du parapétrolier», explique Paul de la Guérivière. Il n'est pas le seul, loin s'en faut, à chercher à s'imposer sur ce créneau. Un autre projet français, Vertiwind, est en préparation. Il réunit la start-up Nénuphar, EDF Énergies nouvelles, Technip et Eiffel notamment. Son concept est différent car basé sur la mise au point d'une turbine spécifique à axe vertical. Un démonstrateur en mer est prévu en 2014 ou 2015 moyennant un investissement de 17,8 millions d'euros. WinFlo, un autre projet, fruit de l'alliance de Nass & Wind, DCNS, Vergniet et Saipem, travaille à la conception d'une plate-forme offshore spécifique. Areva a noué un partenariat avec le norvégien Sway qui a mis à l'eau un prototype tandis que le portugais EDP teste une turbine fournie par Principal Power. De son côté, le pétrolier norvégien Statoil Hydro, allié à Siemens et Technip, teste un prototype au large de la Norvège. La course au large est engagée. «Trois sociétés se partagent le marché de l'éolien fixe. Ce sera la même chose pour l'éolien flottant». Et Paul de la Guérivière de rêver que la petite Ideol navigue dans le trio gagnant. Il y a un an, le fabricant allemand Bosch prenait la décision de se lancer dans le solaire en France. C’est aujourd’hui chose faite avec la reconversion complète de l’usine de Venissieux, à proximité de Lyon. Jusqu’ici vouée à la sous-traitance automobile, l’usine de Venissieux de l’allemand Bosch change son fusil d’épaule. Elle produira désormais des panneaux photovoltaïques, pariant ainsi sur l'avenir d’un secteur en plein essor. Il y a une place à prendre alors que "dans trois à cinq ans, le prix de revient de l'énergie photovoltaïque sera compétitif par rapport au prix du nucléaire", explique Axel Becker, directeur du projet pour lequel la maison-mère a investi 30 millions d'euros. L'invasion des panneaux chinois à bas prix et la mise en redressement judiciaire de Photowatt, pionnier français de l'énergie solaire, n'inquiète pas la direction. Le co-directeur de l'usine, Marc Baeumlin met en avant la "compétence industrielle reconnue" du site et capitalise également sur le "made in France" et l'argument qualité, avec une garantie des panneaux durant vingt ans pour les acheteurs. Bosch a "l'ambition de devenir un leader mondial dans le photovoltaïque" et la division Solar Energy du groupe doit avoir pour la première fois dépassé le milliard d'euros de chiffre d'affaires en 2011. Par ailleurs, même si l'activité ne génèrera pas de bénéfices à court terme, n’étant pas coté en bourse, Bosch n'est pas tenu d’obtenir "un taux de rendement de 20 %", explique le co-directeur, en référence aux déboires de Photowatt. Sur le site, c’est l’émulation et "c'est la première reconversion d'un site industriel de cette importance en aussi peu de temps", souligne le secrétaire CFDT du comité d'entreprise de Vénissieux, Marc Soubitez. Ainsi, dans un immense hangar qui sent encore la peinture fraîche, une première ligne est prête à produire chaque jour 1.000 panneaux solaires de 2 mètres de haut et d’une capacité de 150 Mégawatt. Une deuxième ligne sera fonctionnelle en mai. Les cellules photovoltaïques fabriquées à partir de silicium arriveront d'Arnstadt (centre de l'Allemagne), où Bosch a établi il y a deux ans une chaîne complète de production, indique Sciences et Avenir. A Vénissieux, elles seront assemblées en panneaux, à destination de l'Hexagone, du Benelux et du bassin méditerranéen. Gérard Mestrallet, le PDG de GDF Suez a inauguré aujourd'hui un parc de cinq éoliennes à Guerville en Seine-Maritime qui marque symboliquement le millième mégawatt (MW) de puissance installée de capacité éolienne à terre en France pour le groupe. Avec l'équivalent de «la puissance d'une centrale nucléaire», comme l'a expliqué Mestrallet, GDF Suez, à travers ses diverses filiales dont CN'Air, l'exploitant du parc de Guerville-Melville, est le premier opérateur éolien en France, avec une capacité deux fois supérieure à EDF Energies nouvelles, deuxième derrière GDF Suez. 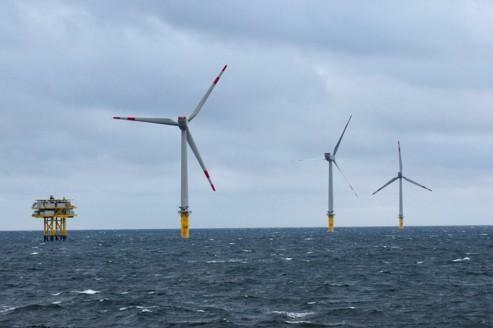 Les cinq turbines fournies par l'allemand Enercon, qui culminent à 120 mètres de hauteur, étaient propulsées, au moment de leur inauguration, par un fort vent froid démontrant tout le potentiel éolien des coteaux de la Bresle. Cette ferme éolienne (un investissement de 12 millions d'euros) illustre les difficultés du secteur en France. Il a fallu pas moins de neuf ans de procédures administratives, comme l'a souligné Moïse Sauteur, le maire de Guerville (457 habitants) et un an de chantier pour mener à bien le projet. «Une spécificité française», a déploré Yves de Gaulle, le président du directoire de la CNR, filiale du groupe pour les énergies renouvelables. Illustration des obstacles au développement de l'éolien en France, une poignée de manifestants attendait les officiels, des opposants à un projet de parc développé par la société Juwi à Crosville. Après avoir fortement ralenti en 2010 sous l'effet de nouvelles réglementations plus sévères, le marché national de l'éolien reprend, estime Henri Ducré, le patron de la branche Energie France de GDF Suez, qui table sur une puissance installée de 2000 MW en 2016. Gérard Mestrallet avait fait le déplacement dans le village, situé à une vingtaine de kilomètres du Tréport, pour rappeler que son groupe déposera des offres le 11 janvier en réponse au projet du gouvernement d'installer 3000 MW en mer. GDF Suez sera aux côtés de Vinci et Areva pour les trois projets de parcs au large des côtes normandes, et avec Siemens pour le projet de Saint-Brieuc. Le producteur d'électricité suédois Vattenfall s'allie à la SNCF, ArcelorMittal et Rhodia. Ils visent plus d'un tiers des capacités de production hydraulique bientôt mises en concurrence en France. Le dossier a beau traîner en longueur -il a été lancé en avril 2010 par Jean-Louis Borloo, alors ministre de l'Écologie-, l'appel d'offres pour le renouvellement des concessions hydrauliques donne déjà lieu à de grandes manœuvres. Dernière démonstration officialisée mercredi: Force Hydro. C'est le nom du consortium qui réunit le producteur d'électricité suédois Vattenfall -qui exploite 400 barrages en Europe- et trois industriels de poids -ArcelorMittal, la SNCF et Rhodia. Les quatre associés sont ambitieux. Le consortium vise 2000 mégawatts (MW) sur les 5300 mis en concurrence au cours des prochaines années. 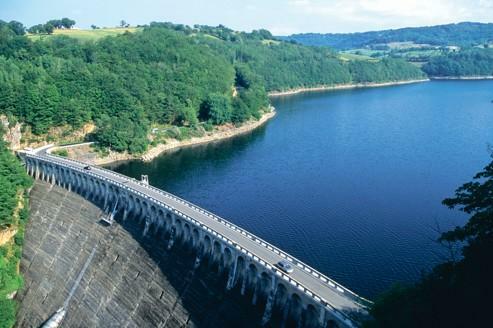 Concrètement, ils comptent obtenir la gestion d'un barrage de grande capacité -ou de deux- sur les dix qui vont être mis en concurrence dans les années à venir. «À travers ce partenariat ambitieux, nous souhaitons devenir la troisième force hydroélectrique du territoire (derrière EDF et GDF Suez)», commente Frédéric de Manneville, le président de Vattenfall France. La présence des industriels aux côtés de Vattenfall fait l'originalité de la candidature. À eux trois, la SNCF, ArcelorMittal et Rhodia ont absorbé l'équivalent de 16 térawatt­heures (TWh) d'électricité en 2010, soit près de 4% de la consommation française. La SNCF est même le deuxième consommateur dans l'Hexagone, juste derrière Areva, dont l'usine d'enrichissement d'uranium Eurodif nécessite l'équivalent de la production de deux à trois tranches nucléaires. Eurodif doit cependant cesser son activité cette année pour être remplacée par l'usine Georges Besse II, dont la technologie lui permettra de consommer cinquante fois moins d'électricité. Force Hydro, comme les autres candidats, doit cependant s'armer de patience face au «flou qui règne actuellement, même si l'administration a nommé des équipes dédiées». À ce jour, aucune date ne vient en effet jalonner le futur appel d'offres. Seule certitude, les projets seront jugés à la lumière de trois critères: le montant de la redevance versée aux collectivités, le volet technique de leur dossier, enfin sa dimension socio-environnementale, c'est-à-dire l'aménagement des vallées où sont situés les barrages. La bataille s'annonce rude. Les panneaux flottants se veulent ainsi plus économiques, en étant débarrassés de leur cadre métallique. Ils ont pour autre avantage d'être refroidis naturellement grâce à la présence de l'eau. Or, « le réchauffement des installations constitue la principale cause de perte de puissance d'une centrale », selon Jean-Philippe Léger, gérant de cette société créée en 2008. La présence des panneaux limite aussi l'évaporation de l'eau, ce qui est important sur le bassin d'irrigation d'un agriculteur. » Oseris mise ainsi beaucoup sur cette technique. La société réfléchit à la construction de son usine de production, et envisage « trente recrutements sur trois ans ». « Le potentiel est peut-être cent fois supérieur à celui qu'on avait imaginé au départ », affirme le fondateur. Je vous laisse admirer et méditer sur l'honnêteté intellectuelle du syndicat (très) majoritaire à EDF.